The Little House of Concrete Bookshelves: Peter Leonard "All He Saw Was The Girl"
Peter Leonard "All He Saw Was The Girl"
Another lively little read set in Detroit and the environs of Rome from Peter Leonard. He apparently wants to get away from Detroit, and does a pretty good job of it here. 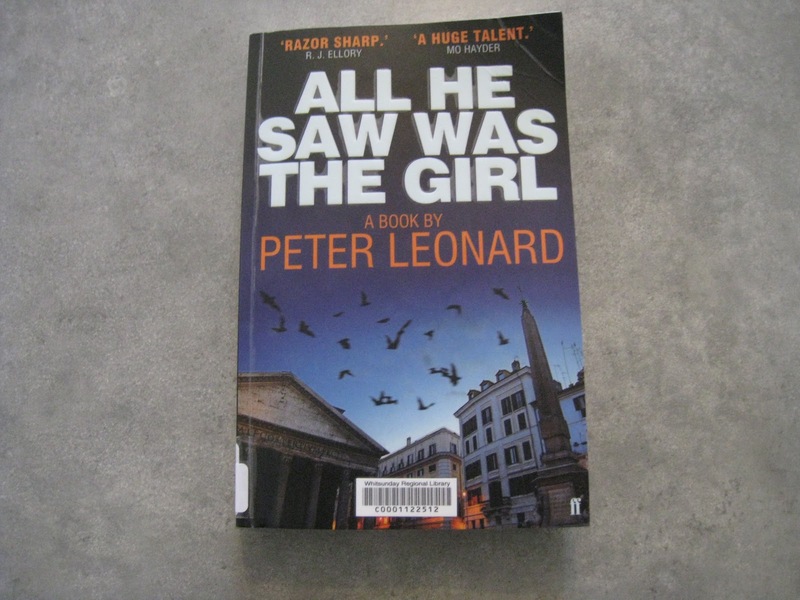 Secret Service agent Ray Vanelli's wife is having an affair with Mafia hard man Joey Palermo in Detroit and when Palermo learns she's married and establishes her husband's occupation decamps to his uncle's villa outside Rome, followed by a husband who wants his missus back. Meanwhile two American exchange students hijack a taxi in Rome at the end of a drinking binge. and while they're being held in jail they cross paths with a couple of dudes from 'Ndrangheta, the Calabrian mafia. Chip Tallenger is the son of a rich US Senator, and Dad's able to extract them from this particular predicament but the story attracts the attention of the Italian press and a captioning error on the attached photo has the 'Ndrangheta dudes plotting a kidnapping but snatching the wrong student. Ex-ice hockey player McCabe is, however, able to escape and sets about turning the tables to get the ransom money back by kidnapping the girl who lured him into the honey trap, who happens to be the head kidnapper's girlfriend and Joey Palermo's cousin. That's all you need in the way of a plot outline, and the to-ing and fro-ing has things rattling along very nicely all the way to the end where, predictably, McCabe gets the girl. Donna Leon "Friends In High Places"